SNAFU! : The rifle squads appear to be the first victim in the Corps’ sprint to modernize. The rifle squads appear to be the first victim in the Corps’ sprint to modernize. While these programs are moving at near light speed, there appears to be a real disconnect between the Corps’ intellectual notions to modernize and the reality of staffing the Corps to manage these changes. “The Marine Corps wants all the new stuff like cyber, wants to sustain contributions to special operations command, wants to beef up higher headquarters like the MEF information group, or intel and comms,” Dakota Wood, a senior fellow for the Heritage Foundation and former retired Marine officer, told Marine Corps Times. The decision by Gen. Robert B. Neller, the commandant of the Marine Corps, to cut a Marine from the rifle squad frees up Marines to be staffed elsewhere across the Corps in areas like cyber and intel. But it enacts a high price on the rifle squad at a time when operational reports and evaluations suggest “more people are needed, not fewer,” Wood argues. Small rant so you've been warned. This is an interesting article that all should read. It's really about Marine Corps modernization efforts but something else caught my attention. The changes to the Marine Rifle Squad. How do you know when an organization is dying...or in the case of the Marine Corps changing in ways that are shocking/ depressing? When such a change can happen to such an essential formation and the debate is so weak and tepid that you barely notice it! 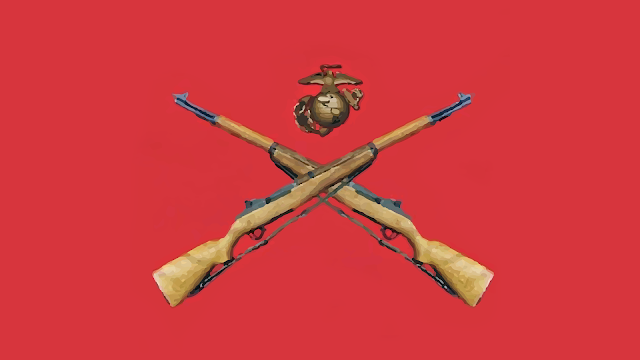 If some Commandant 20 years ago talked about changing the Marine Rifle Squad you would have heard retired SgtMajors, Generals, hell even rank and file Marines screaming their heads off demanding to be heard and voicing opinions. You didn't see that this time. The same applies across the board with the rest of the initiatives being pushed. I don't get it. It's not the Marines that I know but it lives today. Vigorous debate doesn't seem to be part of the institution's DNA anymore and that's terrible. I hope it comes back. Marines need to talk about this stuff. This doesn't belong to the Staff College or Think Tanks. It belongs to us. The debate needs to be loud, vigorous and at times even insulting but we need to start chewing on this instead of simply swallowing what's being pushed on the plate.